Venus is retrograde || October 8 – November 18. What is your idea about love? Is the idea bigger than the reality? Is it so big that it has become intimidating? A beast that no one can possibly meet? It might be time to evaluate your ideas about love and relationships. Clear out the head, get to the bottom of what you really want and why you want it. I see some creating hurdles and obstacle courses between your self and other people, the path to the heart should remain clear. Are you a lover or are you in love with love? One is real the other is idealized. More on Odilon Redon here. I ❤ his work. Another step on the journey. I pull a new card. I place it on the altar. I see the Mother of Earth, and the life force energy rises up from the soil, through her gold and green gown and cascades out of her crown in a floral fan. Reminds me of a vegas show girl. Stirs around the saying, “In perfect love and perfect trust.” Inside me is a feeling of fragrance. Through the process I am attuned to each card as I meditate on the deck. In this card I experienced a growing fruition of doing through guidance and fulfillment in memory. She is earth, she is making, acting, sharing and giving. As I am. Advising, encouraging, empowering, others. Today was that day. Arms around, hugs given in thanks, then smiles riding away on a bicycle from my house. I felt that I had really served my calling. Last week I twittered about a phone call from a friend who knows me from my day office. The caller, my friend, said, “So I googled you after we talked about art… and I gotta ask, ‘what are you doing at that office?” He meant the Rowan. It was a direct and poignant question and I really thought about it. I see a path over the last few years of slowly going within. Finding myself again, digesting what I have, creating (A Hidden Place) and then emerging once more. I ask myself, why did I do this? Why did I go this direction? In the end it was about what have I really discovered. What has been matured in me about my work, my life and my calling in this time and what can I now do with it for those around me. In and out. Up and down. Back and forward. A rush and a push and a land. I am journaling so I’m less about what I want to write and leaning heavily on what will come out of the writing. I’ve been thinking about the past a lot. I guess it’s all part of the personal retrospective of where I was and where I am, querying where I could be. Measuring the distance, and the road I have traveled. I keep looking back at a few technicolor memories that have grabbed me when I’m just becoming conscious in the morning. I’m brought back to something hidden, joyful and unspoken. I’m thinking in the morning, what ever happened to who I will call “Derek”. When I moved away from San Francisco, I lost all contact with him. By that point I was also well into another relationship as well and I think on my way to Manhattan. Anyway Derek was a friend of a roommate who would come up on the weekends from the East Bay. Cute, fun, kind, interesting, and nice to hang around. Weeks passed and I switch around my bedroom and one of the two couches ended up in my room, the fold out. I had the larger of the two rooms available. We all went out, as was the usual thing and long story short, Derek needed a place to stay that wasn’t on my roomies couch as he had found a “date for the night”. I considered myself friends with Derek. We usually spent a lot of time talking and hanging out. I didn’t mind. That first night I think we stayed up until about 4 am, he on the pull out couch in my room and me in my bed. Chatting across the distance at each other in whispers. Blanket’s rustled. The shadowed form of a man rose from the couch and climbed into my bed. It was that easy and I realized, I think, that in the back of my my mind I had been hoping for this. I’m not usually that forward or bold but in retrospect it was a nice move on my part. Ha. Anyway, back then in my room on the Haight, above Phuket Thai, my heart was pounding. I didn’t know what I was doing -honestly- or why I suddenly had put myself out on a ledge to ask this friend into the covers next to me. To know me you would think, oh please, but then I guess we all have different views of our self, sometimes different from the way the world actually sees us. *Shrugs* That’s being human for you. We were quiet. Conversation had stopped. In the silence I thought the pounding in my chest was possibly louder than our earlier whispering. At the very least I thought my little drum was shaking the bed as we lay just inches apart. It was terror and joy all rolled together, waiting to kiss, touch, sweat and roll it out. I didn’t know what to do. I felt like I’d never been with a guy before! At that moment I had this far away perspective, as if I was in bed with Derek and looking down at the same time. I can’t say how long we stayed up together. It was intimate, close, touching. Me wondering how far I should go, I mean this was supposed to be the guy who had been engaged to be married and came out to visit my roommate to meet new girls, yet here I was in bed with him. I never rush but yes, I gave a massage. In the morning Derek asked that I not mention our long night together to anyone. I think he feared that my roommate, his best friend, might have thought he was gay. I’m sure it was a terrible and exciting feeling. I kept my word with one exception, Emilia would know for certain but I was jumping up and down on the inside and I had to tell someone. Weeks passed and we had episodes where people asked me what was going on. I was a coy as ever. Dodging remarks, laughing off questions, pretending to be totally unaware. Between those inquiries were nights, for instance, where he held my hand in the back of the car behind eyes, smiling at me, putting his arm around me. Closeness. What struck me this morning was how completely blind I was. When I look back at me at that time I think, “oh you dork! NO wake up! LOOK!” Not to be critical. No, more like comic relief with several *hand to forehead* moments where I just shake my I head and wonder. Monday I woke early with the image of his face on the big screen of my mind… not for want, but for memory of love and all of these little lights went off in my head. n the pre-dawn hours I lay staring up at the painting on the wall by the bed asking, what happened to Derek? The living spark of him is inside me, a crackling flame that dances across my mind in wonder. Maybe I don’t really need to know what happened to him. Maybe it’s better that he lives on as he has in my mind gorgeous and loving. …We become full. It is that place of fullness where I love to be, where I give best and so the memories serve me now. Supplying love in the day-to-day. Unlimited. Expansive. Unbound. Remember, the only rules to love that we have are the ones we have arranged. 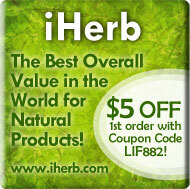 Buy your herbs and supplements online @ iHerb.com! -His Holiness The Fourteenth Dalai Lama of Tibet. Attunement to Water: A grail quest. Reflections of Lakshmi. So for the past three weeks I’ve been attempting a journey into the Realm of Water with little to no success. Not that I am succeeding on my part but it seems as if there are those in the life around me who just don’t want me to tap into that power/element. With Water I began at my home altar. I don’t have a cup, bowl or basin. How do I not have some representation of the emotional, the dreamy, the loving? I wasn’t very successful. Thinking. Thinking. Thinking. I “think to much” because this isn’t about thought (Air), it’s about love, feeling, flow, tides pushing and pulling; or Water. Twice I entered the inner temple, gazed inward and traveled to that sacred space and twice I was rebuked. The mind fumbles with love analyzing and critiquing. Epic fail at that attunement. I muddled around with this some more. Attunement to the element of water is the Grail Quest. The Grail Quest is the quest for love, love of the Goddess, love within finding that wellspring. The fountain. Again I enter mediation. Wednesday. This time I journey directly to my center, there I find the doors to realms. There I knock and ask for entry into the Realm of Water and I am this time met by a familiar face, one that I loved dearly. The fancy little Goldfish I named Titus who passed some six months ago. I smile. I sense his love now, as I did then. Fish have much bigger spirits than their bodies -as my friend Kaynek would say, most things do- and I ride his back along the currents. Water pulls and pushes, draws and drags, tusles everything in it’s all encompassing cold and dark blanket of moisture where I for moments struggle with a fear of drowning… then breathe as in dreams and become accustomed to the environment. Shadows of Mer-creatures darting. The cool swish of water as they dart away then, there ahead of me a woman I know. A Goddess. I hear Lakshmi. Then I am yanked back to the present almost instantly as two people unlock and then enter my office. Workers. Ok but I am instantly back in this place so fast I’m a bit out of sorts. Hi. Hello. Ok. Yes. No. Mmm Hmm. I didn’t get back into meditation. Today I begin to journal again. Note taking. Following the stream of consciousness and there she is again. Then images, people -yes a woman showing at the Rowan tonight happens to know a lot about Lakshmi- and I ask about her experience. Faces flashing. Reflections in water. Eyes smiling upon eyes, gazing into my eyes I am taken back to… there! That place and, “BOOM!” a silent opening as my heart shrugs off this up-to-now unseen plate of something and the feeling of love fills me. In a wash, a wave of sensation sweeps through me -you know this right? Like you’re falling in love- and I open. Tears are still in my eyes. Not sadness. No, more like joy and relief core with a seed of tingling light. Reminds me of a first blush. That to me is Lakshmi, my Goddess at the Western Gate. Back when I was working with Otherhoodlight.com I used to post a statement that included a reminder to support your local holistic practitioner, healer, guide or friend. Patronizing their services is a good thing because you are not only receiving direction and/or therapy you are supporting their life’s calling. Strengthening these spiritual and holistic people by referrals and receiving sessions you are also helping to keep those loving vibes flowing; you are allowing for the conduit to pass their energy, that tap into the Life Force Energy / Love that is always needed in the world. In a sense you are helping along an increase and expansion of the collective consciousness of the world simply by receiving. I am reminiscing because I did in fact see another healer this last Monday for a session. In a word: Love. In a reflection… wow, so many reminders and insights. After an hour and a half of breakdown and then deep work on the body/mind. Through some sudden tears, sighs, deep breaths and laughter that suddenly blew out of me, I realized that some paths had been shut down inside of me. I haven’t had that great of a session since… well since like 1998 believe it or not. All sorts of thoughts and feelings floated up out of my inner world. The energy, movement, stretching and deep tissue relief parted blockages with skill and with zero invasiveness. I recalled my great aunt, beneath my shoulder and the being that appeared at her funeral. I was giggling at the hands when he opened palm chakras and tingling to the toes when he drew the energy out of sore muscles in gluts, legs and feet. More comes out of healing like this because, All Things Connected the energy of the mind/body is directly connected to the people, situations andKarma of our lives. Relieving the connected consciousness (from body to stuck or blocked relationships and karma) frees up the energy associated with the problem, or block, and gives us some breathing room. A time to redress our life path and our stance one what has so stressed us out of where we feel healthy and in alignment. As a healer I really appreciate the exchange. I did pay for my experience, that is part of the trade. I know that any trade for the service can be equal, fair, but after having survived for many years by giving Reiki, consultations and creating healing-art pieces for clients, I usually pay for the healing. Love and appreciation do not pay the rent. There is also an element of the exchange that clients often do not perceive and that is that the Healer also benefits from the experience because they are given the opportunity to ply their trade, pass the energy they are connected to and ultimately fulfill their compassionate calling. That is a true reward to any healer. So I’m sitting here amazed and hoping in many senses that I have given this same relief to those who have come to me for healing or guidance. Smiling with this profound feeling of love, freed from the density of tension and unseen anxiety that had been embedded in secret places in my body. Sought out by strong but tender hands that opened up paths, clearing my channel. Widening perspective. Feeling expanded. I just wanted to remind you that you can afford to seek a fair trade for healing, you deserve it and in finding that trade you are also helping someone else practice their life’s calling; supporting their work; giving back to the greater vibration by allowing the healing energy to be present in the here and now. One more tap opened, one more Open Channel pouring out. When you give you receive. When you receive, you are giving. I have no reason to post but I feel like I’m missing out on something by not posting a bit to the Journey. I had a quiet weekend with a pleasant surprise. As it -the wheel- turned about I ended up with a soft re-connection with a past flame. It’s nice to know that someone you loved is still out and about, doing those things that you remember and probably a few new ones that you couldn’t fathom. It brought a smile to my face and I coyly smirked at the idea of permanence. I heard the warm embers of my past hiss and snap. Life is so much greater than any one person.